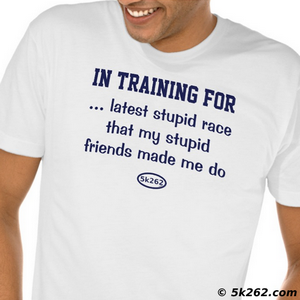 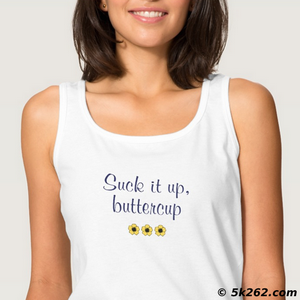 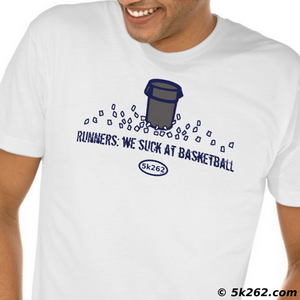 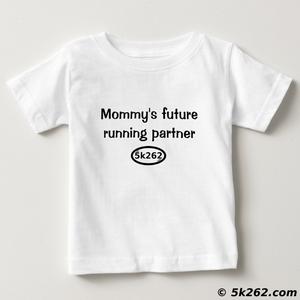 Funny running shirts for all runners! All the running shirt designs below are available in dozens of styles and colors for both men and women -- not just what is shown. 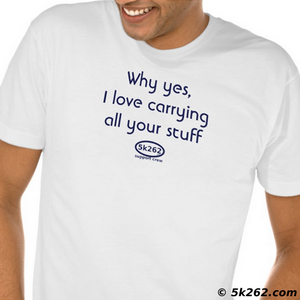 This includes tee shirts, technical fabrics, and hoodies. 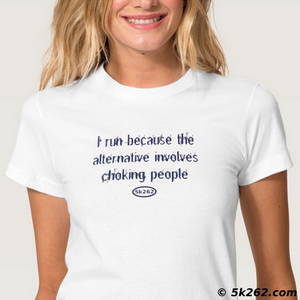 If you have any trouble finding any of the shirts in the colors and styles that you want, just let me know! I only run half marathons. I'm lazy like that. 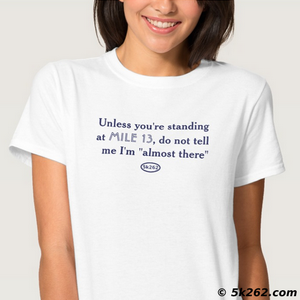 Do not tell me I am "almost there"
... and she ran happily ever after. Cupcake = 310 calories. 5k run = 310 calories. 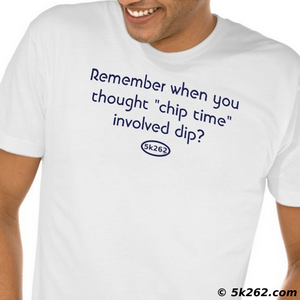 Remember when "chip time" involved dip?